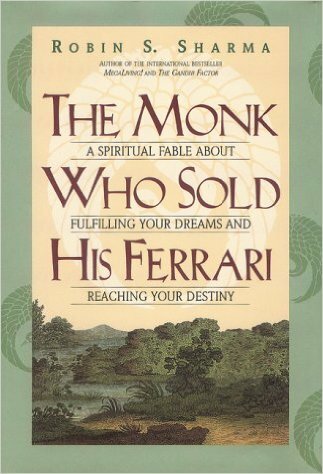 I was scouring my bookshelf the other day, looking for a book to read, or re-read, and The Monk Who Sold His Ferrari; a Spiritual Fable about Fulfilling Your Dreams and Reaching Your Destiny, by Robin S. Sharma, caught my eye. I’ve read this book at least three times over the years but am always struck by new insights each time I read it – and/or reminded of old aha’s. 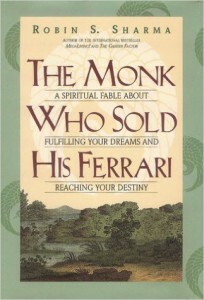 ‘Then it will take ten,’ said the master. ‘Fifteen years,’ said the sage. But that’s not say that one shouldn’t set an end point – a target date in which to complete said goal. As such, I am finding it helpful to set a reasonable deadline by which I want to achieve my goal (and write it down!) but then NOT focus on it – for the very reason given above: doing so only serves to distract me from the task at hand, thereby lessening the quality of both the process and the end result. Instead, what I do now is take the time to write down all the specific tasks that need to get done – and when – in order to achieve a large goal. Although this is overwhelming, at first, to realize just how much actually does have to get done, the next step – of dividing all the tasks into bite-sized weekly and daily chunks – makes a seemingly overwhelming goal actually achievable. Then I am able to just show up each day and simply do the tasks, one by one, that need to get done. I can concentrate on the task at hand – often tackled in a short but highly productive chunk of time – because I know that if I focus on the present, the future will take care of itself.